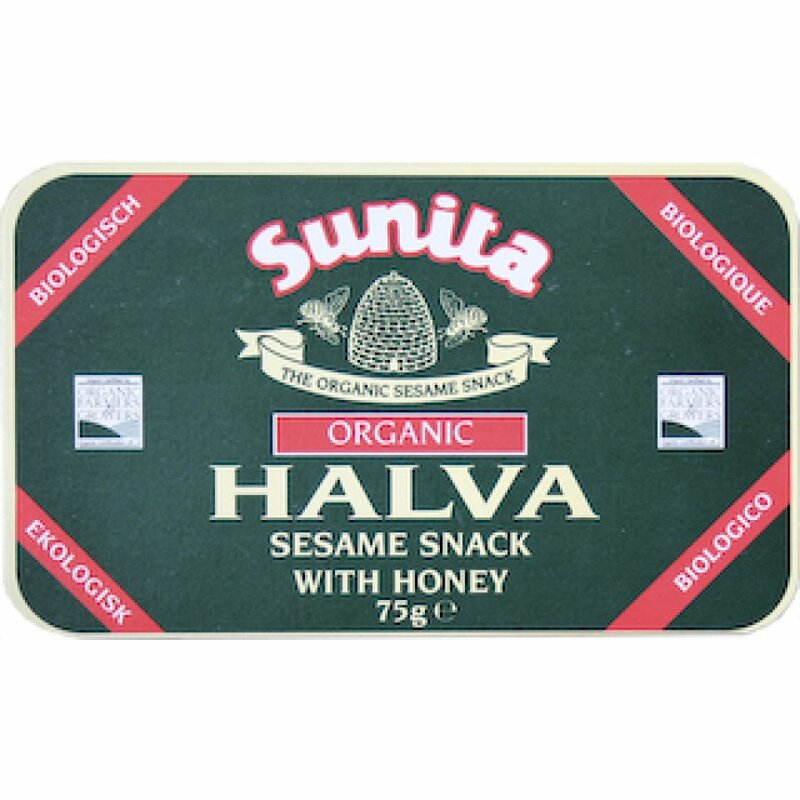 75 grams organic Sunita Honey Halva. The Sunita Organic Honey Halva - 75g product ethics are indicated below. To learn more about these product ethics and to see related products, follow the links below. There is nothing wrong with this product and the quality is good. I just discovered that I don't like Halva. 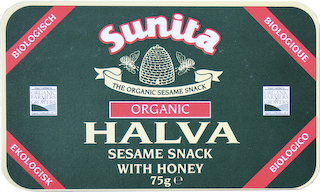 There are currently no questions to display about Sunita Organic Honey Halva - 75g. Sunita foods are especially selected from manufacturers in the Mediterranean, working to produce the highest in organic standards. Part of George Skoulikas Ltd, Sunita is certified by Organic Farmers & Growers, producing deliciously different vegetable pâtés & pestos, Tahini’s, Olive Oils and other delicious Mediterranean delicacies.